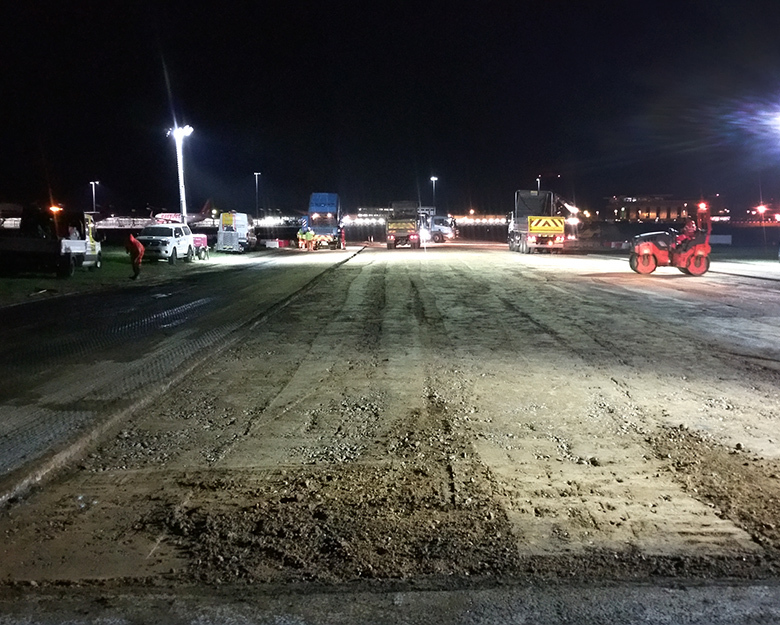 Due to the high risk of the site being airside it was vital for our Managing Director, Wayne Dale, to liaise with all parties and use his 30 years of expertise within the asphalt industry. The site required the material driver to have their passport identification and name to hand as well as all participants of the job to go through mandatory Airport security procedures. Our Managing Director, Wayne Dale, oversaw the works at Southend Airport throughout the job from start to finish in order to enable an easy, safe and legal process. All staff had their passports with them and went through all Airport procedures smoothly.